Can I purchase a Merlin Annual Pass from Blackpool Tower Dungeon? 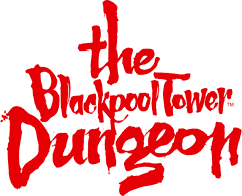 How do I purchase friends and family tickets for Blackpool Tower Dungeon? Can I prebook my Share the Fun Vouchers at The Blackpool Tower Dungeon?